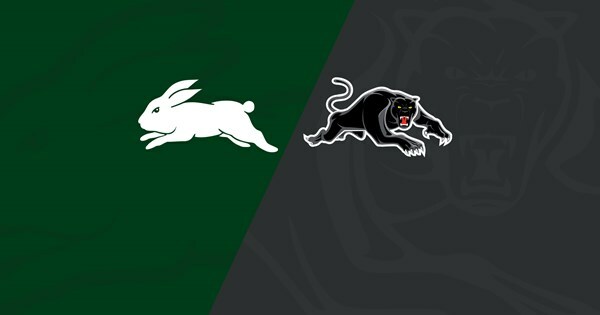 A knee injury to Viliame Kikau marred a 28-8 trial win by the Panthers against South Sydney Rabbitohs at Redfern Oval on Saturday. Hear from James Maloney as he speaks after the Panthers defeated the Rabbitohs at Redfern Oval. Fisher-Harris, Dallin & Tamou ??? I think this mostly just a training run for all intensive purposes. You will probably see them (and perhaps Cleary) in the final trial against the Eels. 4 Games have been announced at Redfern Oval tomorrow. Limited Tickets are still available from Ticketmaster. A good trial, with some questions answered, some unanswered and some new ones being asked. I do hope Billy is ok with that knee, at lest better for it happen early in the season than late. Edwards showed why there should be no doubt he is the No1 fullback. Tim Grant showed form and determination that should see he as part of our prop rotation through the year. May showed why he’s the kind of player you can’t leave out of your team. Cartwright showed the goods in the centres, after an injury plagued 2018. This year may be his final chance to crack the top grade. All the other first graders looked fit and firing. Started with Katao, who looked sharp and with a much tighter passing game. The benefits of training under Wallace seems to be paying dividends.scored a nice dummy half try. Second half with Egan, who looked sharp with a tighter passing game. Training under Wallace looks to be paying dividends. 2 try assists including a nice in-goal grubber. I don’t know which way we will go with the 9. Luai didn’t have a great impact either… not that he did anything wrong. Always hard to judge form in trials of course, players at different stages at preparation, some a little over -cautious not to get injured etc. But one thing to take out this trial is we sure have great depth. I was super impressed with Tim Grant last night, he played out of his skin and seemed like he was in every tackle when he was out on the field. You could tell is gunning for a spot in the starting 17, and with a performance like last night, he may very well end up with one.